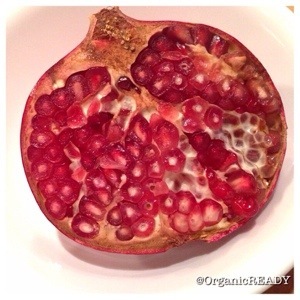 Pomegranates are nutritiously dense, antioxidant rich fruit which has been revered as a symbol of health. This fruit’s deep red juice contains polyphenols, isoflavones, ellagic acid, and punicalagians. These are elements researchers believe to make up a potent anti-cancer combo. Pomegranate juice is good for your heart and blood vessels. They also have been shown to inhibit breast cancer, prostate cancer, colon cancer, leukemia and to prevent vascular changes that promote tumor growth in lab animals. Several studies have shown this remarkable anti-cancer effect. Additional studies and clinical trials currently taking place are hopeful to reveal this fascinating effect on humans. 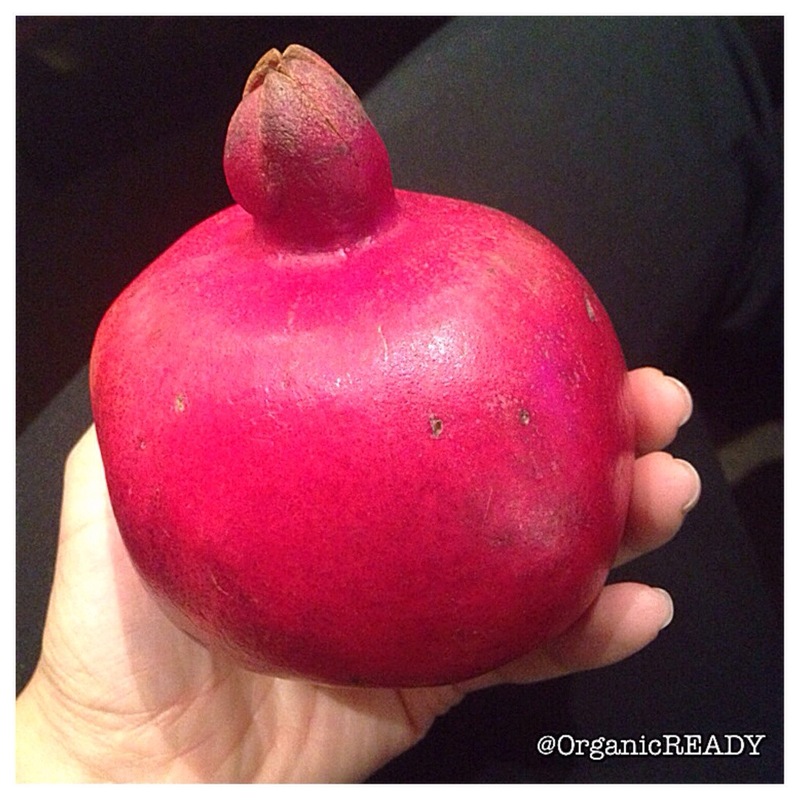 I would recommend eating fresh pomegranates or buy the 100% organic juice if possible. 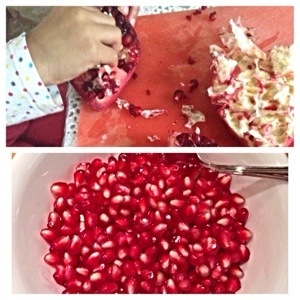 Pomegranate seeds are juicy and crunchy. I love to snack on them in between my meals. They’re filling and satisfying to eat. Other antioxidant rich foods like blueberries, tomatoes, red and yellow peppers, nuts, whole grains, spinach, kale and so much more are important to incorporate in your diet. My #1 Tip for Eating Healthy.